The Hills Home Music System is the perfect partner for your lifestyle and entertainment needs. The Hills Home music Manager seamlessly integrates into your home utilising state-of-the-art discreet in-wall and in-ceiling flush mount speakers. Weather resistant outdoor speakers are also available to extend your listening experience outdoors. The Hills Home Music Manager is capable of distributing up to 4 music sources such as CD, DVD, radio, media centers, etc to up to eight music room manager zones located inside and outside your home. Each room station also has an auxiliary port accepting portable MP3 players to further flexibility. Sit in your lounge room and listen to your favourite radio station while the kids are in the playroom listening to the Wiggles at the same time!! 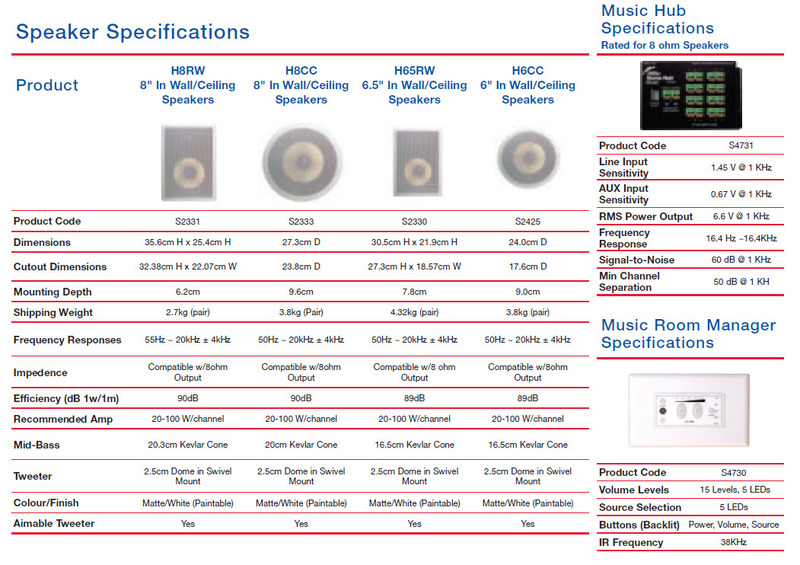 Hills Music Speakers are flush wall/ceiling mounted and provide you with the highest quality stereo sound performance you expect. Hills Home Music Manager is available in 4, 6 & 8 room stations to suit all your entertainment needs and all budgets.